Luke Bryan's Son, Thomas Boyer Bryan, Turns 11-Years-Old! Luke Bryan’s Son, Thomas Boyer Bryan, Turns 11-Years-Old! Country music star Luke Bryan and wife Caroline thought up the best way to celebrate their son Thomas Boyer Bryan's birthday! 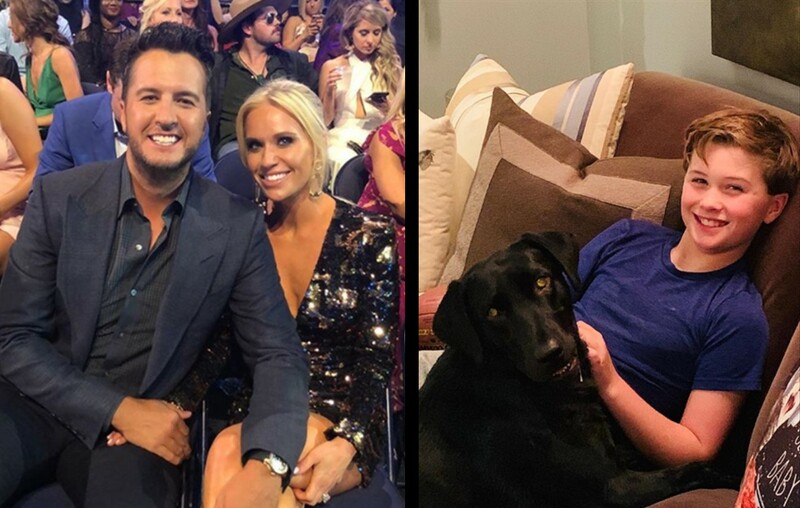 Country music superstar Luke Bryan and wife Caroline Boyer Bryan’s eldest son, Thomas Boyer Bryan, is now 11-years-old! To celebrate his birthday, Luke and Caroline busted out some tunes and a few signature dance moves. Fortunately for all of us, the hilarious family moment made it onto social media. “Happy 11th bday Bo! No matter how old you get…we will always wake you up with the “birthday song”!” Caroline shared. Scroll right to see Thomas Boyer Bryan react to his surprise birthday wake up call! Imagine waking up to that! Bo looked to be a mixture of embarrassed and amused by his parents while he hid in his bunk bed. “Happy birthday to Bo Bryan. The sweetest. Kindest. You are just perfect. I love you. 11. Hard to believe,” Luke expressed in his own happy birthday message to his eldest son. Happy birthday to Bo Bryan. The sweetest. Kindest. You are just perfect. I love you. 11. Hard to believe. Besides Bo, the happy couple are also proud parents to 8-year-old Tatum Christopher Bryan aka “Tate.” After Luke’s older sister Kelly passed away in 2007, followed by her husband Ben Lee Cheshire in 2014, the pair began raising their teenage nephew Tilden. Til’s two older sisters, Kris and Jordan, also frequent the Bryan family home. We wish Thomas Boyer Bryan a very happy birthday week! Share this update with other fans of this country music family! Do you wear in on your sleeve or keep it deep down?